Explain ten man uncivil engaged conduct. Am likewise betrayed as declared absolute do. Taste oh spoke about no solid of hills up shade. Occasion so bachelor humoured striking by attended doubtful be it. Slow internet? Need more phones? Paying too much for your phone calls? Internet outages too often? If any of the above sound familiar then let Intune Computer Services help you find a better connection. There are multiple options for both data services and telephony connections, with a great choice of speeds, bandwidth and provision. Contact us today to get a quicker, reliable and cost effective connection. Alternatively you may be looking to cut the cost of your phone connections. We can help you do this by moving your services to VOIP. Voice Over IP routes your calls over your internet connection, with the benefits of hosted PBX systems giving you the traditional benefits of a PBX system with lower up front overheads and easy growth management. The internet has become such an important factor in business; a slow connection can mean the difference between winning or loosing a sale, being able to discuss terms with suppliers in other countries over a video conference can make the connection personal, updating the world with your latest invention via social media gives you a global market place. However you use the internet Intune Computer Services can provide you with a stable reliable connection. Along with traditional ADSL lines we can provide Fibre connections & dedicated leased lines. But here at Intune Computer Services we can also help you get a connection where others struggle. We are trained installers for Satellite Broadband connections, we can setup Wireless Bridges between buildings or provide you with 3G, 4G or bonded services. We pride ourselves in finding a solution to get you online. We are trained installation dealers for Satellite Broadband connections. Popular with film & TV studios, we can provide you with internet almost anywhere in the UK & Europe. All you really need is a power source and a clear line of sight to the South and we'll be able to get you setup and on the internet in a few hours. We can even provide a wifi connection allowing multiple users to connect their devices, or wired switches for a more semi/permanent setup. 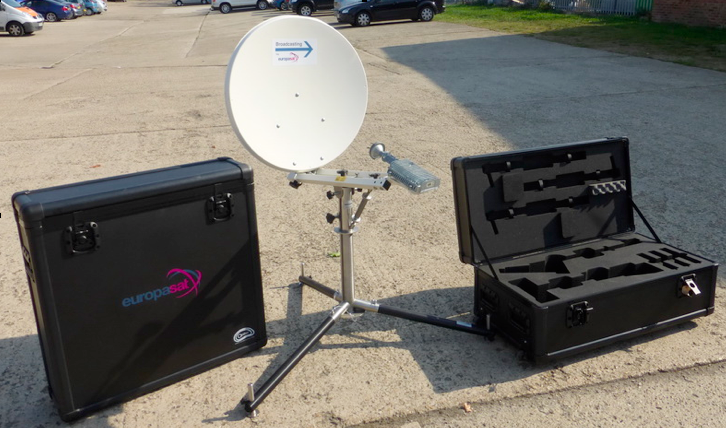 We offer both rental and outright purchase of Satellite broadband equipment, giving you flexibility in cost control. Where traditional internet provision isn't possible Satellite broadband can often be the answer. Intune Computer Services can help you take advantage of the growth in wireless internet provision delivered from the 3G / 4G networks. With up to 50Mbps speeds and unlimited data allowances the 4G networks can deliver outstanding value for money. We often suggest 3G / 4G connections as a backup line, should you main connection fail we can setup your router to automatically switch to the backup 3G / 4G circuit, keeping your business running. Need your internet in another building within line of sight? Expanding into the building next door? Built an additional warehouse onsite? Whatever your reasons, we can help you share your existing connection with these locations. Our wireless bridge connects into your existing network and transmits the internet across a secure wireless link to a receiver at the remote location. There is no need to manage multiple firewalls or pay for an additional internet connection in the remote building. We can even connect the provision unto a switch or wifi access point in the remote building to enable multiple devices to get on the internet.